Our Simply range was designed with great value and simplicity in mind. These two and three day breaks are ideal for those who do not have time to spend a long period in the region and who would like to visit the key attractions without breaking the bank. In order to keep the costs low on these tours, part of the trip will usually include walking to some of the local visits and a pick up from a central location when transport to visits is required. These tours include the opportunity to visit both large and small estates and offer a range of cost-effective accommodation options. These breaks do not include travel to the region and usually do not include any meals apart from breakfasts at the hotel. Due to the competitive prices, these packages are web exclusive, and can’t be modified, with the exception of the addition of extra nights when required. "Reims as a city was a delight to encounter and a very pleasant surprise. The hotel was perfectly situated. 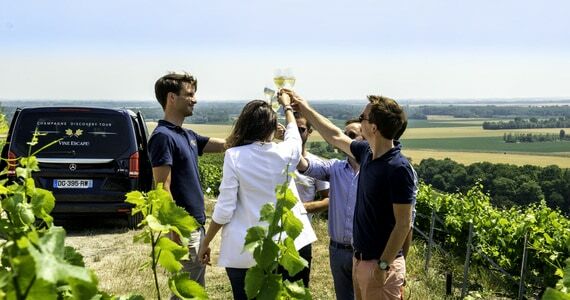 Both Marco and I learnt a tremendous amount about the production and history of champagne and thoroughly enjoyed every second from the moment we left home. Even the weather was kind to us."